The monthly ingredient challenge is one of my favourites as it is like a mystery box on Master Chef – each person gets the same ingredients, and usually we end up with a great selection of dishes. If you are a fan of mystery boxes then this challenge is really perfect for you. 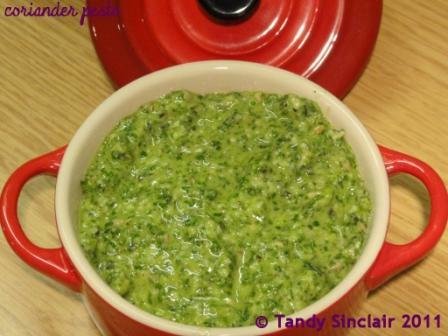 Try this Ingredient Challenge Cumin, Onions And Coriander and let me know what you made. You can use as many other ingredients as you need to complete your dish. There is no end date to the challenge as this is about challenging yourself to make use of a set of given ingredients. I love using cumin for the earthiness it adds to a dish. Onions if well cooked feature in many of our casseroles. Coriander is one of those herbs you either love or hate. I absolutely love using the herb, and the seeds are a firm favourite when making curries. I find coriander to be most versatile and so easy to grow. Which of course means it features a lot in my kitchen. Would you go with the obvious here or would you step ‘out of the box’ and create something that no one expects? If you decide to take part in any of my weekly challenge, please link back to my blog in your post and leave me a comment to let me know you have done so. I will do a weekly round up of all posts. It is all about the fun aspect so please if you do take part, don’t take it too seriously. This is not a competition to see who comes up with the most unique or original dish. Mandy made a great use of cabbage by preparing tarts. Still haven’t got around to do the cabbage, I may throw it in with this one. So busy, will be relieved when this book is done.